I got sent some lovely items to unbox and review with all of you! Today I am going to be swatching and reviewing The Edit Eyeshadow Palette. If you’d like a review on other products pictured above, please let me know and I will get that on my blog ASAP! These items are available at Sephora right now online if you are a VIB/ VIB Rouge member! If not, these will be exclusive at Sephora in stores on March 15! The Edit Eyeshadow Palette retails for $54 CAD! Let’s first discuss the packaging: It is definitely very sleek and compact which would be useful for travelling. I actually like the blue on the packaging as it gives some colour but also has something sophisticated about it. The packaging also has a snake-skin texture to it, which is really nice! When opening the palette, you see two transformer shades (the silver and gold) which are supposed to transform under black light for more of a ‘pop’ to your look. 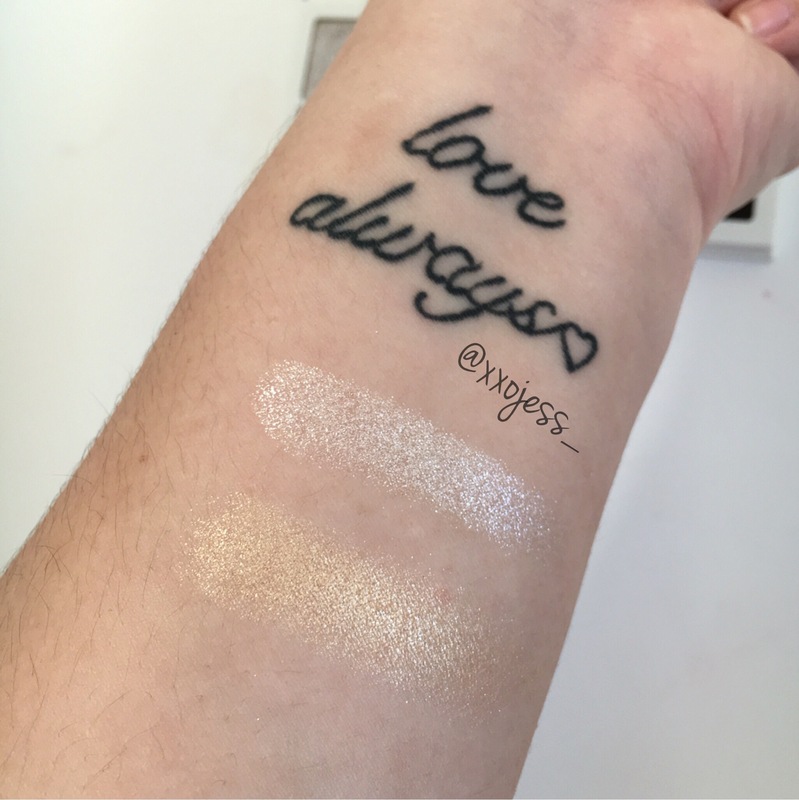 The other shades consist of satin, pearl and sparkle formulas. 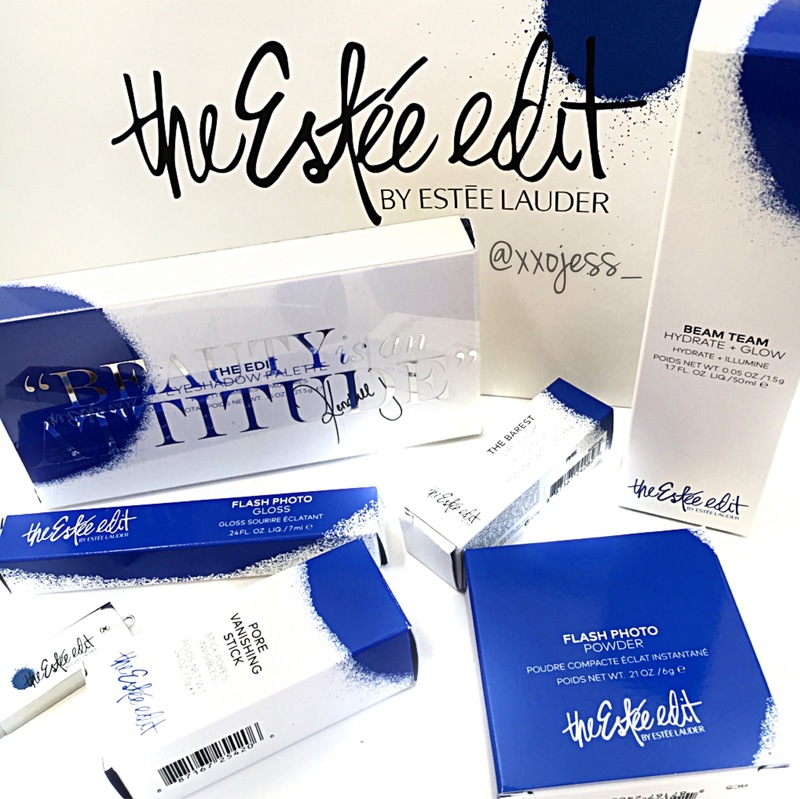 This palette is also inspired by Kendall Jenner, who is the Estee Edit Guest Editor. I would say my initial reaction when opening this palette is that the colours look absolutely beautiful. I wouldn’t exactly say this is my number one palette I would go to for any look, but it definitely has shades that could work for everyone! This palette is definitely more glam to me, especially since the transformer shades can be used with any other shadow in this palette to heighten up the look. As you can see, the palette is formatted in a fairly interesting way. On the left, we have the two transformer shades and the other duos definitely compliment one another. These shades do not have names, but they do state the formula on the back. I think not having names is a bit confusing, and I would have loved to see Kendall Jenner create some interesting names for these shades! Let’s get into some swatches, shall we? Here are the two transformer shades; one is silver and the other is gold. They are both super pigmented and buttery, which is great especially if you are going to use these shades with others as the purpose of them is very broad. Here is the first row of the palette. The first and second duo of the palette is probably two of my favourites. They blended well and were very pigmented–the last one on the other hand was a bit dry to be honest. 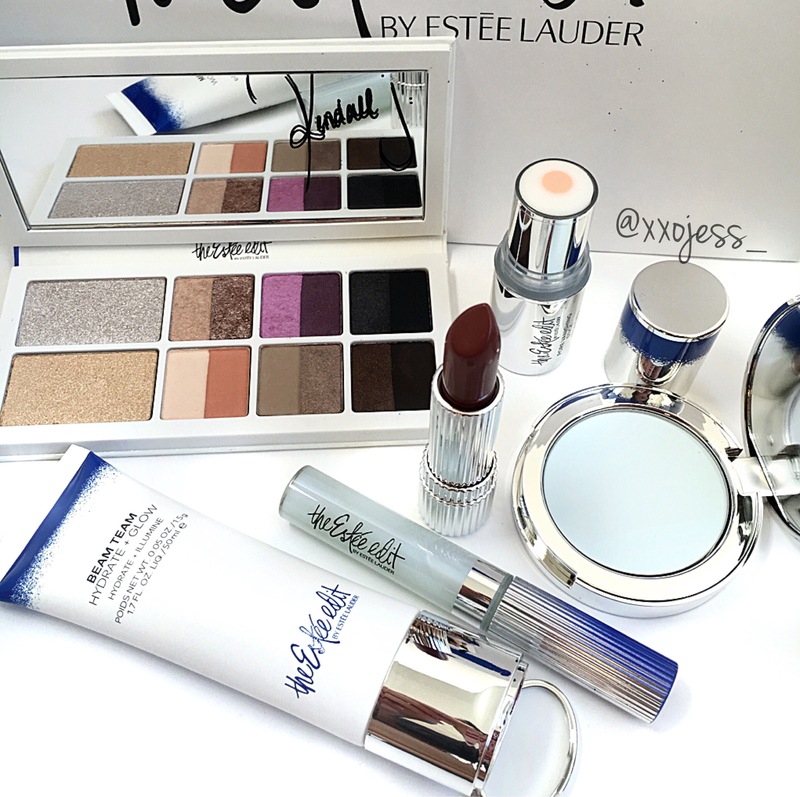 But the rose gold and purple shade are really calling to me…aren’t they gorgeous?! Here is the last row of the palette. I definitely prefer the top row over this one, but this row provides more colours to blend with and use in the crease. Most of them blended well, but one in particular that was quite dry and lacked pigment was the very last colour. It really felt dry when touching them, and did not apply very well to my eyelid. The other colours worked fairly well though! Overall, I’m not convinced that this is a holy grail palette by any means–but I do think Estee Lauder is definitely trying to change things up in a good direction! There are some shades in this palette that are absolutely stunning and that I truly adore–while there are also some I would pass on and not use. Nonetheless, it is a beautiful palette! The colours are quite different and the idea of having ‘transformer’ shades is really cool and interesting in my opinion. Beautiful swatches, and I agree with your review. Although I wouldn’t make it my every day go to palette, it does contain a beautiful range of colors. Great and very thorough review! Thank you so much Dom! ❤ You always leave such lovely comments!